A big FiFA “thank you” for helping us get to Pakistan! 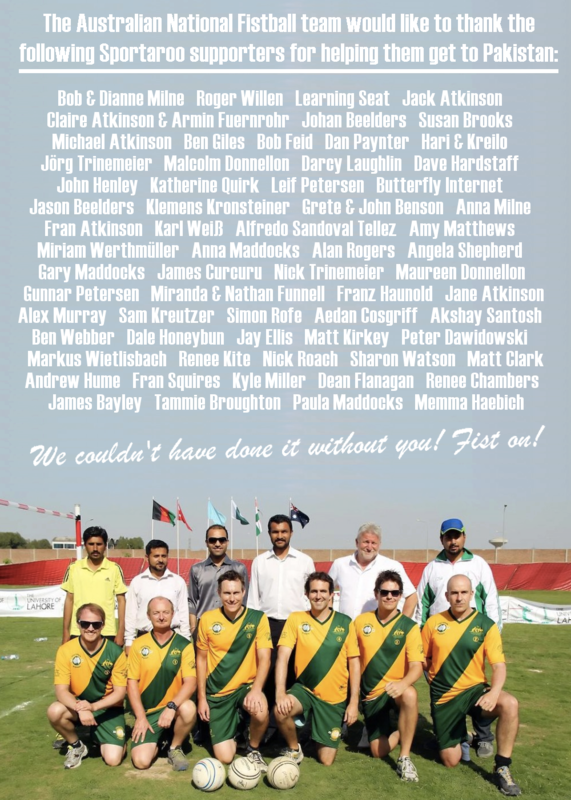 The Australian National Fistball Team would like to thank every supporter from the bottom of our hearts and fists. 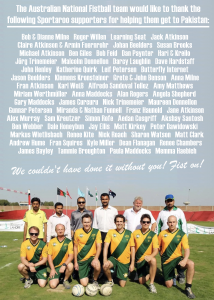 Everyone who chipped in donations, purchased our exclusive fistball merchandise, or handed over money at our Australian Team Guernsey Presentation Night was integral to a huge development for fistball in Australia – our first ever international tournament. Without your support we would not have been able to afford to send a team over, and for that we will be forever grateful. For the full poster, please click on the image below. « Australia Takes Home Fourth Place! » Fistivus VII announced!